We are excited to present a new raft of events to challenge your students and your programs. Like previous Dogwood TD events, there will be a cash-only fee of $5 per competitor. This small fee goes directly to cover the direct costs associated with the competition including parking for judges, model fee, and other related costs. If any of your students find this fee a hardship let us know. Throwdown is meant to be as inclusive as possible. The AHSAE (Atlanta High School Art Exhibition) is an interscholastic art exhibition featuring 150 works of art from almost 70 local high schools. Give yourself time to visit the festival and the high school exhibition when you participate or watch the Throwdown. You will be glad you did. ***Parking will be covered for judges, but we cannot cover parking for all the teams. Please plan accordingly as parking near the festival can be a challenge. Carpool, take Uber, a taxi, MARTA or get dropped off. For Detailed parking information go to: Dogwood website parking suggestions. There will be two tiers of competition as we are welcoming teams from area high schools and colleges. There will be one 10 minute figure drawing competition that will be judged as "open" and is intended to pit the skills of artists on a level field. The competitions call for a total of 19 artists IF the artists compete in only one event. Please note that many of the events overlap or occur simultaneously so plan carefully. Even though most supplies will be provided, we suggest that each team brings a kit of their own materials to be fully prepared. You are not required to enter all events or provide the maximum number of artists for any particular event. However, all events are scored so a full roster increases the number of chances for winning. Timed Figure Drawing, digital photo, Formal portraiture, botanical sculpture, plein aire landscape painting, and Tik Tok video production. In this event teams may enter up to 6 artists to compete in timed portrait drawing. Contestants will face off and draw each other in heats that are 4 minutes long. At the end of the heat a judge will walk down the competition table and select the artist that will move on. The losing artist is eliminated. With the process the brackets reduce by half with each heat. As the heats continue the time will reduce. In the event of an odd number of contestants, one artist may face off against two others. The single artist will choose one of the opposing artists to draw. The judge will choose one winner from this trio. When three pairs remain, the judge will choose the 5th place drawing. Final Four artists will go head to head with the judge choosing the 4th and 3rd place finishers and the final two. Then in a final heat the champion and second place finisher will be selected. The drawings will be executed on provided 9 x 12 drawing paper with provided black standard medium ball point pens. This event will require practice, luck, and nerves of steel. The observational drawing competitions are intended to support the traditional academic discipline of rendering the human figure. Four separate events define different approaches to this universal challenge. This drawing is meant to quickly capture the artist's ability to see the dynamic nature of the model using Sanford Ebony pencils. The drawing should show the flow, tensions, and active impression of the model using a variety of mark making, smudging, and erasing techniques. This drawing will test the depth of talent in a drawing program. Three artists will take 5 minute rounds executing on the same drawing. The first artist will render the gesture and lay out proportions. The second will block in light and shadow and/or other architectural and spatial concerns. The third will refine and add detail and character to what will be the finished piece. Like other relay events in track or swimming this will require a team to practice the coordination of a team to create a unified, carefully seen, properly proportioned and technically excellent drawing. Drawings will be executed on provided 12 x 18 drawing paper using self-supplied dry linear media of choice. Bring your best game to this as high school goes up against college AND FACULTY artists who choose to compete. 12 x 18 paper provided. Bring linear media of your choice. Competitors must be able to credit the elements and principles of their image to one or more of these artists. Competitors may bring printed reference images to inspire and inform their work as it progresses. These are living active Atlanta artists with established bodies of art and social impact around the city. Works will be completed on provided 12 x 18 drawing paper using self-supplied linear and/or aqueous media of choice (no spray please). Works will be judged on intentional and compelling synthesis of listed artists' mode with masterful observation and use of selected media. 10 x 14 watercolor paper provided. Contestants must being their own support boards, brushes and chosen linear and aqueous media. Contestants will have 120 minutes to dash into the Dogwood Festival environment and return with a finished painting. The image must express an engaging illusion of space and show evidence of observed plant life, architecture of the city and/or the park itself and potentially including tents or other temporary structures that support the festival. The final image may or may not include humans interacting with the space. Judging will take into account masterful use of elements and principles that create a compelling illusion of space and light, as well as masterful use of selected media, composition, and overall impression of the chosen view. Contestants must cross the starting line within 120 minutes to avoid disqualification. Teams has 2 hours to launch out into the fray of the Dogwood Festival and collaboratively create a series of three related images using whatever hardware, software, and/or apps they have at their disposal. Images should represent powerful and dynamic use of elements and principles of good photography as well as daring and masterful manipulation of the images using a variety of available tools. Images should seek to show the complexity, culture, personality, and environment of the Dogwood Festival. The images will ultimately be posted to a special Instagram page developed specifically for this competition. Competition judging will occur with a professional photographer. The teams are to use the Tik Tok app to create a 15 second video that uses and expands on the energy, art, people, and environment of the Dogwood festival. This video competition is intended to exercise the creative potential of the app over and above its use to create "CRINGE." 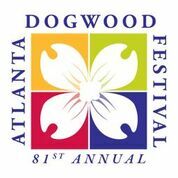 The Dogwood Festival is a dynamic and giant expression of the culture and people of the City of Atlanta. Artists are free to use Tik Tok and any other app at their discretion to create a highly manipulated, highly engrossing, and highly entertaining video. There are numerous titles on YouTube that describe the use of this app and countless examples of good (and cringy) creative results. In this challenge the contestants will be making a live portrait of the Superintendant of the Atlanta Public Schools, Dr. Meria Carstarphen. She has agreed to sit for 30 minutes for artists to create an exacting, expressive and freshly rendered likeness. Knowing the subject, artists are encouraged to practice the portrait using online resources prior to the event itself. During the event contestants ARE NOT allowed to use digital or printed media to support their work. Drawings must be made from scratch using observation only. 12 x 18 white drawing paper will be supplied. Artists may choose and bring their own dry linear and/or aqueous media, drawing board, and any necessary tools to create this likeness. The judge will choose the winners for the purposes of the competition, however, Dr. Carstarphen will select one portrait that will be handed over as a gift to her. 1 pair of collaborating artist per team. Teams will have 2 hours to create a sculpture based on orchid forms presented by members of the Atlanta Botanical Garden staff. Artists are to use provided clay plus other armature building materials to render an interpretation of the complex forms that comprise these stunning organisms. Artist teams are encouraged to manipulate the clay in a variety of ways to expand on the observed forms. This is not a challenge to make a duplication of a single existing species. It is intended to flex the sculptors' ability to use a given vocabulary of forms in compelling ways. The sculptures will not be fired and will not likely endure past the judging and documentation of the results. Clay will be reclaimed and given to the winning school if they so choose. In each event, points will be awarded to individuals with their scores contributing to the team total. Final judging placements will be binding and judges are not required or allowed to explain or defend their final decisions to anyone. Contestants, parents, and coaches are not to approach and/or question judges independently after their decision is rendered. Press releases and announcements are being sent to various publications and websites in the Atlanta community. Participating schools are asked to communicate their involvement to their systems and any community partners or organizations that they wish. Each team should secure proper parental, school, and district release forms from their respective systems to allow for maximum potential coverage. During and after the event we will be actively pursuing feedback regarding the event and how it should evolve to create a durable and impactful series of competitions. It is the intention of these competitions to keep the arts actively in the public eye while affording the students an elevated experience, solidifying and activating art programs in the schools, and creating a greater sense of consistency and collegiality between art programs across the region. All participants are encouraged to fully document the experience from start to finish. We can then upload participation images to the website www.artthrowdown.com and other advocacy. Minimal funding should be necessary to create a viable team. At this early stage no discussion has been formalized regarding sponsorships or of creating a formalized "league" or "Conference." It is worth discussion to relate this effort to existing interscholastic organizations like Thespian, Robotics, CTE, GMEA, and others, to tailor our experience to best suit the individual needs of our programs and district initiatives. Schools are encouraged to pursue funding and sponsorships as they see fit.